Armed clashes broke out in Karen State between splinter Democratic Karen Buddhist Army (DKBA) forces and government backed militia. The fighting started in central Karen State on September 2nd, in Mae Tha Waw areas in Hlaingbwe Township, and has continued over the last few days. 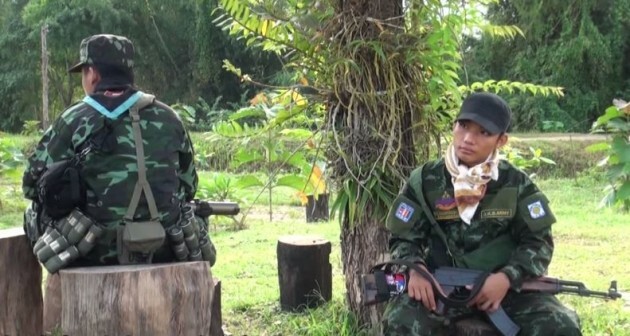 According to both BGF and DKBA sources, four armed clashes were reported within a day on September 3 in Mae Tha Waw areas at BGF bases in Yin Pine, Mae Paw-Mae Tha Waw Bridge, Bee Koh Lay (also known as Saw Ngwe Ywa) and Mae Seit. A BGF source told Karen News that the DKBA had started the recent fighting. Soldiers from #1011 and #1012 BGF battalions are involved in the fighting, the exact DKBA units involved are at this stage unclear. According to DKBA sources, another armed clash took place on September 2 between troops from DKBA led by Captain Ke Nyo and BGF troops led by Major Thein Aung at their Mae La Rah camp near Shan Ywa Thit in Hlaingbwe Township. Fighting came after the DKBA announced on the 31st of August that they would retaliate against BGF forces if they kept harassing DKBA patrols. The statement came after the death of a DKBA leader, Major Na Ma Kyar. According to local media reports, two officers in the Na Ma Kyar splinter faction, Maj. Saw San Aung and Lt. Kyaw Thet, are on the same Burma Army wanted list as the deceased Maj. Na Ma Kyar.